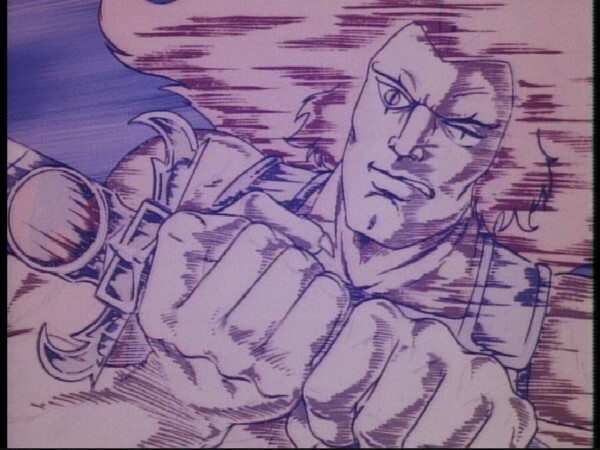 The Code of ThunDERa is called into action as LION-O saves a Unicorn from the evil BERSERKERS and their leader, HAMMERHAND. 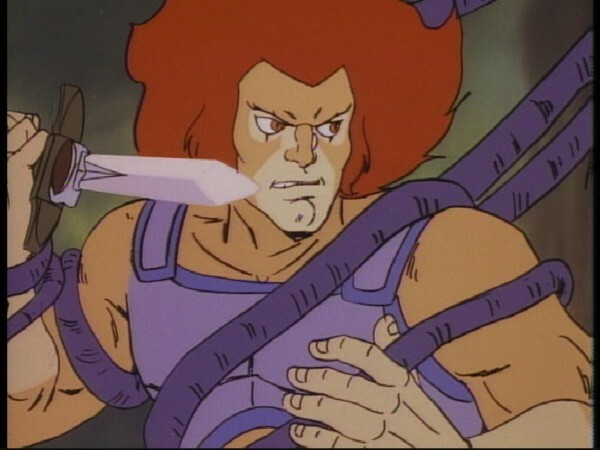 LION-O is assisted in his struggles by a magic ring, given to him by the Unicorn. PANTHRO’s amphibious ThunderTank ferries them to safety and the terror of HAMMERHAND is crushed. 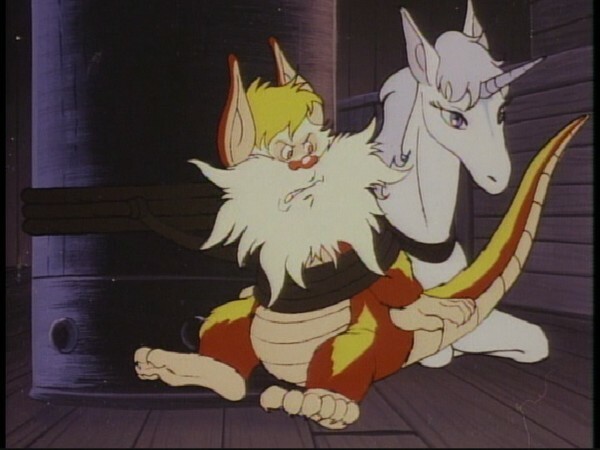 Altruism is devotion to the interests of others and is exemplified by Snarf and Lion-O’s efforts to help the defenseless Unicorn against the violent Hammerhand. Their efforts are unexpectedly rewarded by the reciprocal aid given them by the Unicorn. Sometimes when we stop to help others, we end up helping ourselves. For children, the fostering of pro-social values, like altruism, and the rejection of antisocial values, like violence, are important elements in their development towards social competence. Children should be encouraged to engage in pro-social behavior in situations that call for it, and be made aware of the reasons and the moral and social principles for the behavior. “The Terror of Hammerhand” is a unique episode for many reasons. Although probably not the strongest from the perspective of its plot, it nonetheless has many things that mark it out as interesting and memorable. 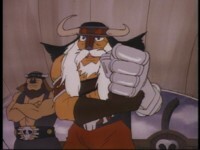 The most obvious of those is, of course, the appearance of Hammerhand and the Berserkers themselves—the inclusion of pirates of some description seems to be a requirement for a fantasy-based series like ThunderCats, and for this series the Berserkers are used as the fourth major evil force on Third Earth (behind Mumm-Ra, the Mutants, and the Lunataks). However, interestingly, for Season 1 the Berserkers are played almost as “one-shot” villains—although Hammerhand’s ghost is seen in the episode “Spitting Image”, the Berserkers themselves are not seen again until Season 2. This episode is very in keeping with the recurring themes of these early episodes. 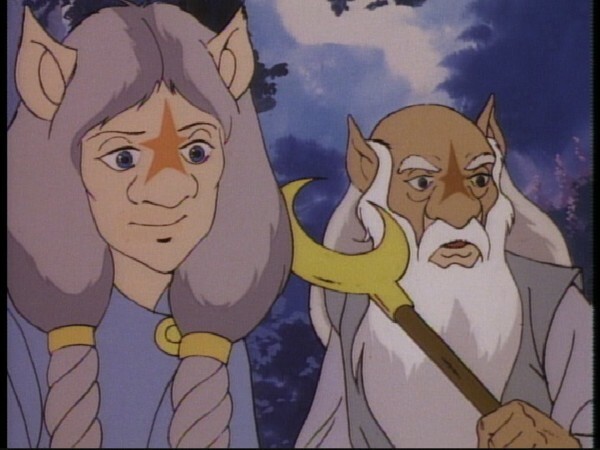 Of particular note are the scenes where Lion-O meets the Unicorn Keepers for the first time, and one of the most interesting exchanges of dialogue in this episode is when the two Keepers talk about how Third Earth is changing into an ever more dangerous place. 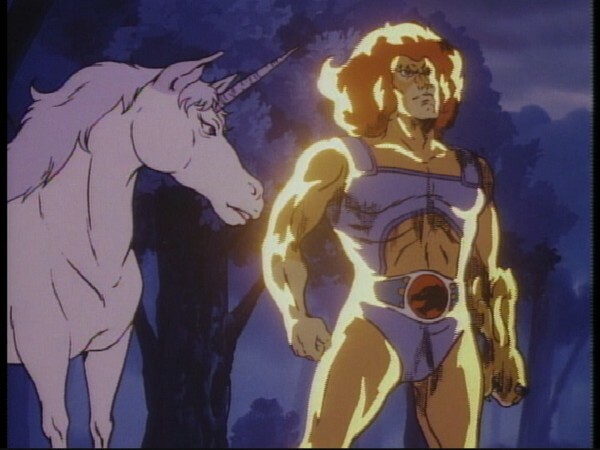 Whilst in this story the threat posed to their unicorns is actually a threat indigenous to Third Earth (namely the Berserkers), nonetheless these exchanges of dialogue highlight the “mood” of Third Earth’s people, a sense of unrest triggered by the arrival of the two conflicting alien races of ThunderCats and Mutants, and the awakening of the threat of Mumm-Ra. 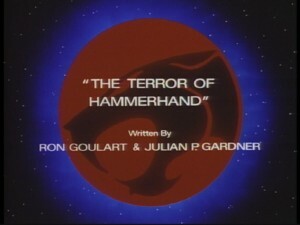 The impact that the ThunderCats’ arrival had on Third Earth is a theme gently touched upon throughout the series, and in particular in these early episodes. For all that the ThunderCats worked hard to protect the planet from evildoers, it’s not hard to play devil’s advocate and wonder whether Third Earth at this time would have been a safer and more peaceful planet had the ThunderCats not arrived. 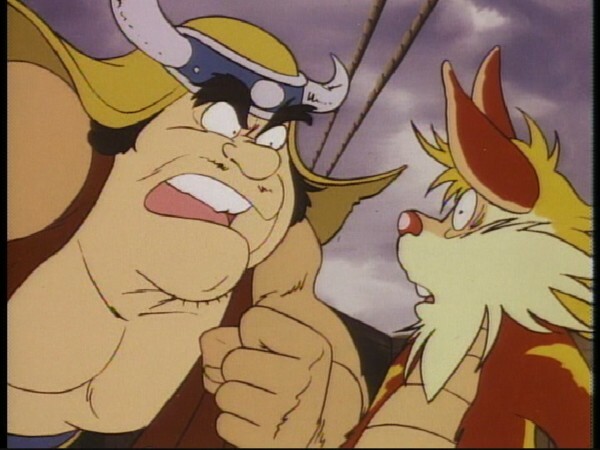 This is highlighted by the Unicorn Keepers’ initial mistrust of Lion-O upon meeting him for the first time, although their hostility is speedily quelled when Lion-O fights to defend their flock from Hammerhand and the Berserkers. Another thing that makes this episode memorable is the style of animation. The series was always animated with an American audience in mind, yet the style of animation in this particular episode is heavily stylized and reminiscent of a Japanese anime, with regular use of exaggerated, comedic style animation (such as large mouths and bulging eyes!) 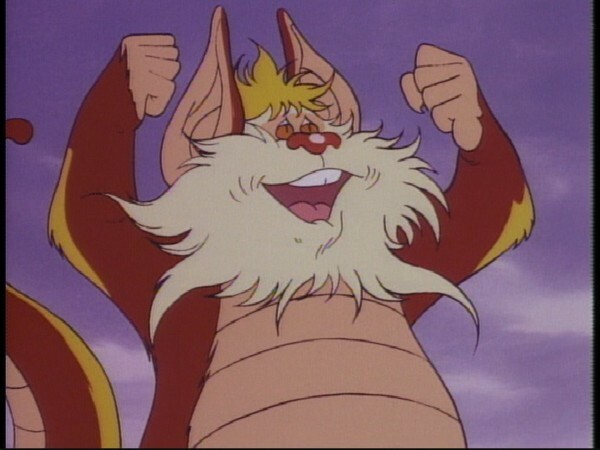 for certain characters like Snarf, and also a lot of motion lines to accent movement, particularly during fight scenes. 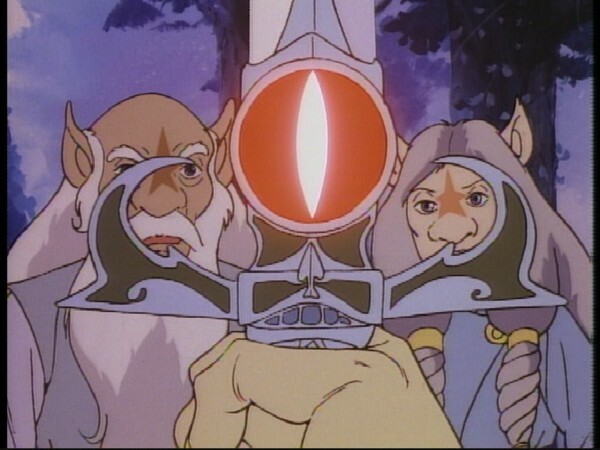 This style marks this episode out as one of the most visually unique episodes of ThunderCats to be produced. For me personally, the plot of this episode is among the weaker episodes from the early days of Season 1, and arguably the weakest (or certainly least memorable) of the four scripts to be worked on by Julian P. Gardner (aka Jules Bass). However, this is nonetheless a decent, solid episode, and a good introduction for a villain who would play a much more important role in the iconic five-parter “ThunderCats Ho!”, and this alone makes it worthwhile viewing. This is the first episode of ThunderCats to not feature either Mumm-Ra or the Mutants at all. 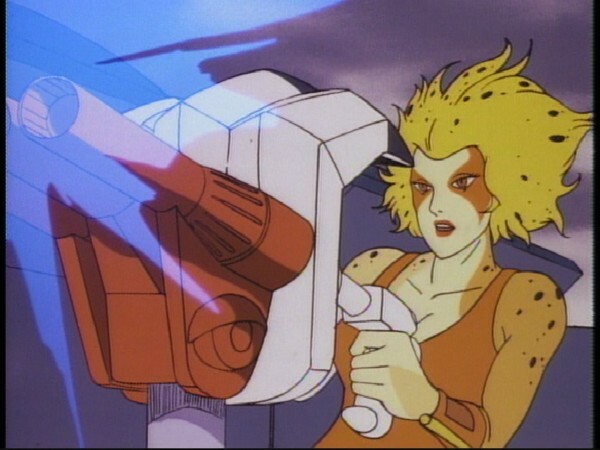 It also features the fewest number of ThunderCats so far in the series, with Tygra and the Thunderkittens all absent from the cast of this episode! 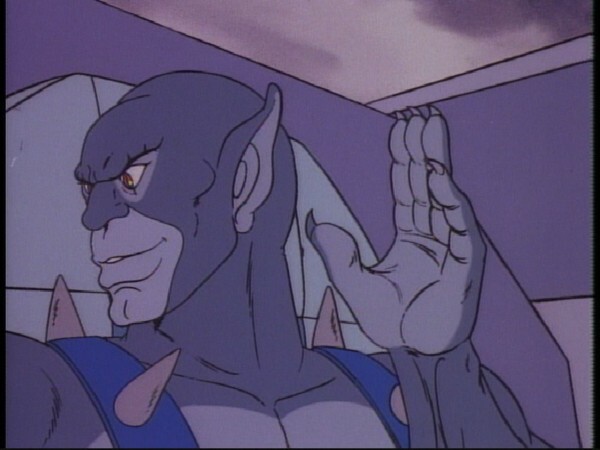 In this episode, the Berserkers are defeated when Panthro creates a whirlpool and sinks their ship. Later on in the series, in the episode “Spitting Image”, Mumm-Ra calls on Hammerhand’s ghost from the bottom of the sea to bring life to his clone of Panthro. 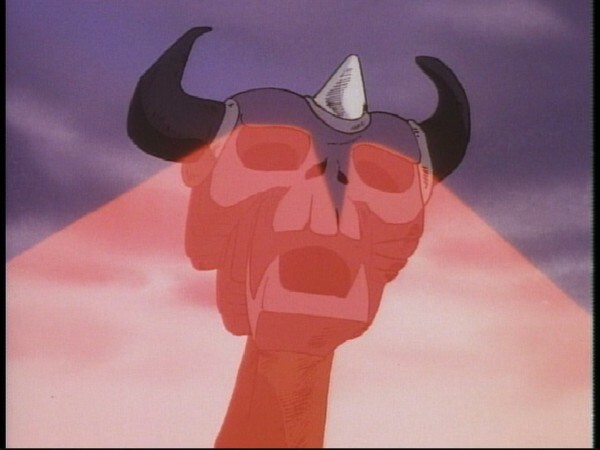 It could be argued that, for Mumm-Ra to be calling on the ghost of Hammerhand, the Berserker must have drowned when the ship sank, meaning that this episode features a rare instance of one of the ThunderCats’ enemies actually being killed! In spite of this, Hammerhand and the Berserkers are mysteriously “resurrected” at the start of Season 2, for the episode “ThunderCats Ho! Part One”! Hammerhand himself is shown with a new look, with a more mechanical-looking artificial arm. No explanation is ever given within the series as to how the Berserker was able to rise from the dead, nor for how he came to look so different. 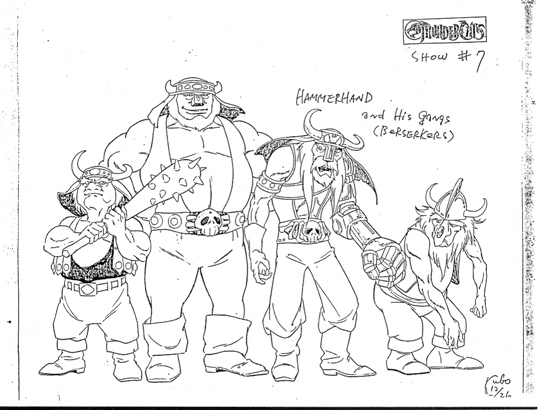 Early production artwork exists of Hammerhand (with the character design used in this episode) posed with three other Berserkers. Whilst the Berserkers don’t possess the special powers seen in their Season 2 counterparts, the designs of these three characters look very much like early character designs for Cruncher, Ram Bam, and Top-Spinner! All three of these nameless Berserker characters would appear in this episode, but only Top-Spinner’s counterpart would have a speaking role. This is the second of two scripts to be written by the pairing of Ron Goulart and Julian P. Gardner, the first of those being “Trouble With Time”. Viewing the episodes by production order, this is the third episode in a row to be either written or co-written by Gardner, who would also add his name to another early season 1 episode, “Garden of Delights”, co-written with Barney Cohen. This episode marks the debut of the ThunderTank’s aquatic mode, used from time to time in future episodes.